Retirement is your time, and you’ll want to enjoy an income that’s right for you. A mix and match approach to using your pension could help you find the right balance. For example, you could use an annuity to cover your essential costs, and use the flexibility of drawdown for your nice-to-haves. An annuity offers a guaranteed income for the rest of your life. It can also support your spouse or partner after you pass away. You should think carefully about which annuity options you might want to add before you apply. Once you have one, you can’t cancel or change it. So adding in drawdown can provide a little flexibility. Drawdown is a flexible way to take your pension. Your pension stays invested, so it could grow. And you choose how much and how often you take an income. This flexibility can be an advantage, but it’s riskier, so it won’t be right for everyone. You could run out of money if you take out too much, your investments perform poorly or you live longer than you expected. Take advice if you’re unsure. If you choose drawdown you’ll need to regularly review your plan to check it’s still right for you. There’ll be ongoing charges for your plan – see charges for drawdown with HL. Once you’ve finalised your plan, you can go on to get guaranteed annuity quotes and/or a personalised drawdown illustration. Before accessing your pension, you should carefully consider your options. Please ensure you’ll benefit from transferring and won’t lose any valuable guarantees, or have to pay high exit fees. 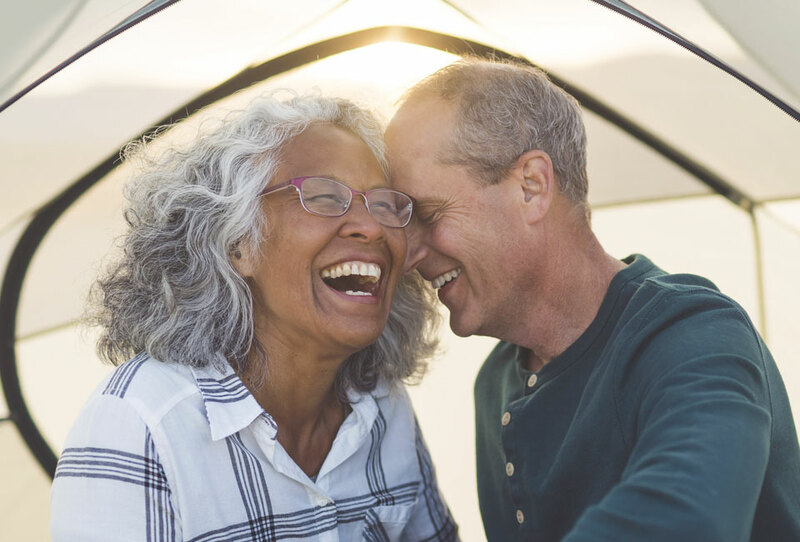 I'm happy I took a mix-and-match approach because it gives me the best of both worlds – secure income with my annuity and variable income with flexibility and a chance of some investment returns from drawdown. After 23 years as a sales manager for a manufacturing company, I decided to retire to explore other opportunities available to me. I took a lot of time considering my options. In retirement I wanted to make sure I had secure income to match essential bills but still had some flexibility. That’s why I decided to use a mix of options to achieve both secure and variable income. For the secure income I will have my state pension when I'm 66, but to top this up I decided to buy an annuity. By just providing them with a few details, Hargreaves Lansdown searched the whole market for a rate, and found one 30% higher than my previous provider was offering. This extra income is paid to me for life so it was definitely worthwhile. The attraction of drawdown was its flexibility. I'm currently drawing enough each year to manage my tax liability. I can increase or decrease how much I take when my circumstances change. I used Hargreaves Lansdown's research to help me choose where to invest and it's really easy to monitor my account online. The income could go down but that's why I have secure income to fall back on. I can afford to take a bit more risk with drawdown as I have the safety net of my annuity and my future state pension, both paying me a guaranteed income each month.